When veteran touring comedian Todd Glass plays a comedy club, he has candles lit and placed at the bar as the audience arrives. The simple act creates a relaxing, almost tranquil atmosphere and sets the tone for the show to follow. He, like other comedians, recognizes that the venue plays nearly as big a role in the success of a performance as the comedian and his jokes. “The comedian has to draw everyone in and maintain their attention for an hour, but the room sets the stage for everything,” said Shawn Eckert, general manager at Helium Comedy Club. There is no shortage of entertainment venues to catch a comedy show in Western New York. While big-name headliners such as Amy Schumer or Kevin Hart may play to a sold-out arena at KeyBank Center, most shows take place in local theaters and comedy clubs. Each room has its own vibe due to the particulars of its size, location and the audience it tends to draw. Here are some of the most popular ones. Open mic night every Tuesday; live shows every Wednesday through Saturday. Recent headliners include Colin Quinn and George Lopez. Restaurant, bar, and entertainment venue that hosts open mic night every Wednesday at 8 p.m. Hosts shows from local and national comedians in its upstairs club, The Attic. Open mic night every Thursday at 8 p.m.
No-frills club offering comedy performances and a regular Monday night open mic at 9 p.m.
Jam-packed Saturday night shows features multiple stand-ups and improv performances. Hosted by club owner and longtime Buffalo comedian Rob Lederman. Features multiple venues for big name comedy performances. Recent headliners include Carlos Mencia. Home of the ComedySportz improvisational comedy competition. Also hosts an array of late-night adult improv shows. A small basement bar well-suited for intimate comedic performances. Hosts an open mic night every Monday evening. Allie Brady remembers excitedly calling her mom to tell her about the first time she was recognized in public by a fan who saw her perform standup comedy. So she takes it in stride now when she’s out shopping and a fan refers to her by a crass term from one of her self-deprecating jokes. Having fans know you and your work is a big moment in the life of a comedian. But it’s also an important part of a business that takes years to learn and master. Part of the craft of comedy involves the performance aspect — how to move on stage, where to look, getting the feel for the delivery and timing of jokes for maximum effect. There’s also the time-consuming process of writing fresh material and fine-tuning existing ideas and half-formed thoughts into tight, efficient (and funny) jokes. Aspiring comedians can take immersive classes — such as the Comedy 101 course at Helium Comedy Club or join an improv group at Buffalo ComedySportz, for example — to help them develop their comedic voice. But to really grow as a performer, you need stage time. Lots and lots of stage time. 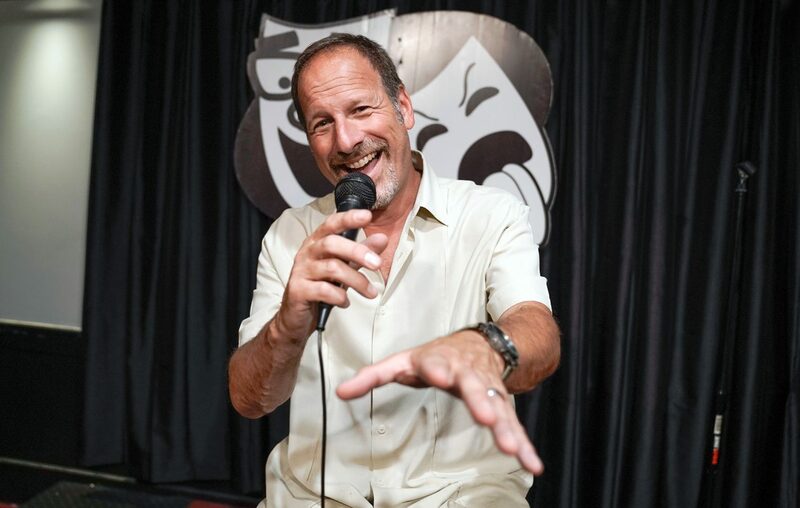 “If somebody says to me they have been doing comedy for three years, they’re new, they’re still washing off the baby water,” said Rob Lederman, who has done more than 5,000 shows since starting out in the mid-1980s. “Just because you’ve gone on stage doesn’t mean you’re a comedian yet. You’re not a lawyer when you’re still in law school. There’s an open mic nearly every night in Western New York and more seasoned performers agree that young comics should hit as many of them as they can to help hone their skills. The experience is invaluable, even if — or especially when — the jokes fall flat. “Stage time is so crucial,” said Brady, who started performing more than four years ago. “It’s okay to fail or not get a laugh. It’s about getting back up and developing a thicker skin. Comedy can be a demanding business in other ways. On top of performing, comedians have to cultivate a following of fans — in person and online. Club owners, who book comedians for their shows, not only want people who are funny, but also performers who can draw a crowd. But, Brady said, it’s all worth it when someone recognizes your work or you hear a crowd erupt in laughter.